KitMonsters – Pitch Black. The music makers’ guide to making music. 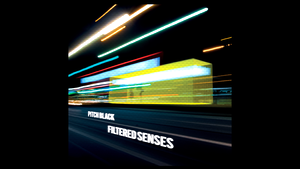 Pitch Black are the founding godfathers of New Zealand dub/electronica, and have just released a stunning new album called ‘Filtered Senses’. Fusing compelling grooves, huge soundscapes and a rich organic palette, their first album in nine years is an addictive, magical and sometimes dark offering. 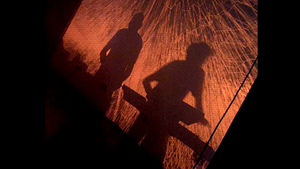 Masters of live electronica, they have toured across the world, and previewed the album to a thrilled audience at a show at Oslo, in London. 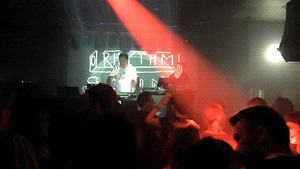 Pitch Black have been championed by DJs from John Peel to Nemone and Nick Luscombe, and their music has been used in fashion shows, computer games, TV shows such as True Blood and CSI plus films such as the Oscar nominated Whale Rider. 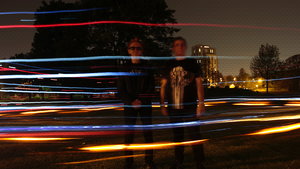 The duo are award winning multimedia artist Michael Hodgson and Salmonella Dub producer Paddy Free. ‘Filtered Senses’ ranges from the deepest darkest bass of the title track, to the driving, unsettling Invisible Chatter. There are contrasts too - the more chilled Dub Smoke, the eerie cinematic A Great Silence Is Spreading and the apocalyptic Without The Trees. 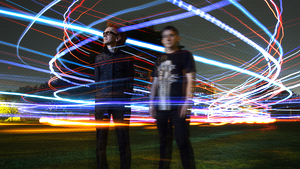 Pitch Black have released four studio albums, and four remix albums but have been living in different countries since 2011, and working on their separate projects. Free has recently collaborated with Moana & the Tribe, Nga Tae and has created many new audio works for Aotearoa’s finest choreographers, while Hodgson has been producing and remixing under his solo electronica guise, Misled Convoy, and creating multi media works in London. 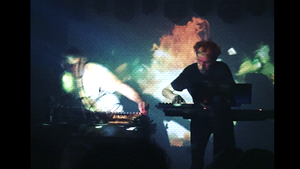 As individuals, they have very different approaches to music which can be summed up as: Free, manic groove-merchant of the pair, wants to do it for the crowd, while Mike, the dark dub-meister and experimental sound artist wants to do it to the crowd. We asked Mike about the new release. When I went back to NZ two years ago, Paddy and I hung out and chatted about where we were at with our creativity and music. We decided we were ready to make a new album. To begin with we both developed song ideas separately, in our own styles, after a few months we each had a bunch of ideas that we sent to each other to get input and for each of us to work on. We sent those workings back and forth for a few months until we had 10 roughly sketched tracks. Then we got together in the same space in London for 12 days and smashed out the album working gentlemanly hours of 9.15am (after I had taken the kids to school) till midnight or later. We live in a overloaded world of information, we liked the idea that to really deal with it you need a filter, one of your own making so you are filtering your senses whenever you deal with the modern world. The album is instantly recognisable as one of ours, thanks mainly to the unfeasibly large bass and the endless delays. There are touches of playfulness amidst the menacing undertones plus some fresh new sounds in the mix. As with all of our releases to date, it happily jumps genres, with tracks ranging from the ambient wash of ‘A Great Silence is Spreading’ to the stomping foot tapper of ‘Pixel Dust’. With everything else in between those two, ‘Filtered Senses’ could be described as having one foot on the dancefloor, one eye in the cinema and both ears in psychedelic stereo. Both Paddy and I are polar opposite in what we like but we also vibe off a similar idea of being swept away by experts doing their thing, so I tend to bring time and tone to the songs, Paddy brings groove and melodies. we often say that he provides the vertical markers and I float along the horizontal. As we both have solo projects, all sounds in the Pitch Black recordings need to be agreed by both of us, any that don’t work get sent to the solo project folders!! Both Paddy and I are very influenced by the epic landscapes and nature in Aotearoa and that feeds deeply into our compositions so whilst it’s not obvious, the depth we feel about our land is in the music. 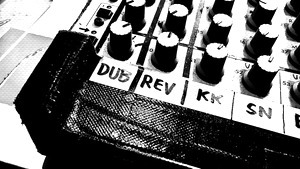 The main way we kick live is the freedom we have built into the delivery of the live setup, the tunes are separated into 16 separate tracks, these come into my mixer where I can send any channel to the dub, Paddy also has ways to send sounds to the dub channel and to effect the sounds. The songs are also cut into parts so at anytime we can jam or stay in sections for short or longer than the album versions. We are working on the NZ tour for this December till March, then looking at shows in the UK and Europe early 2017. We have a few remixes already sorted and will have a remix album out sometime in 2017. *Filtered Senses is available on Bandcamp. Logic Pro 9 and Ableton Live 9 on a Mac Book Pro. I use Live and Logic 50/50 in the studio. I started on Logic in 1995 and although Live has come along in the interim, I’ll never stop using it. It has features that Live doesn’t have, and vice-versa. Things I like in Logic are the built-in effects and instruments, and the multiple automation modes. Up until the latest album we always finished our mixes in Logic, but this one was mixed in Live as we didn’t have time to stem everything into Logic. Live is where most tracks start for me these days, the Session View was unique when it first came out. I started using Live in 2002 and I can remember telling my musician friends “it will automatically beat-match and sample on your hard-drive in real-time!” I was a bit of an Ableton evangelist, really. These days I’m an Ableton instructor and clinician and alpha-tester, so I feel very connected to the company. Novation 61SL and 25SL MK2 MIDI Controller Keyboards. I love these controllers for the sheer amount of controls, and how completely map-able each control is. Each control can have its own MIDI channel and max/min range, plus niceties like button modes like momentary, toggle, A/B values - things I now can’t do without. I come from a classical piano playing background, so the fact that the keyboard actions feel really good is important to me. Novation Launch Control XL MIDI Mixer Controller. Just bought this this year after running a UC-33 for the last 12 years. I lets me do all my live dub mixing in the studio, I use a custom mapping with Live that has it set up just the way I want it. I have a Roland SH-101 monosynth, which was the first synth I ever bought. I bought it second-hand in 1985 and I’ll never sell it. Ensoniq TS-12 workstation synth (1993) Does this count as vintage yet??? It has a few sounds that I don’t want to part with, that I can’t do on anything else (believe me I’ve tried!) 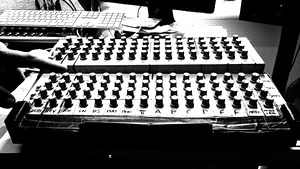 plus it’s my 73 note weighted-action MIDI controller for the studio. Weltmeister Combo-Bass. This is a 1960’s keytar-style keyboard that makes bass sounds. It’s electro-mechanical in that it has tines like a Fender Rhodes that get plucked by the key action. It makes pure sine-wave type bass tones, with a varied amount of overtones/distortion where you hit it hard. Another thing I’ll never sell! from the audience is dangerously, truly live. After beginning on a sound on sound 2 track with simple effects pedals in 1984 and moving through all the various ways music making has shifted from multitrack to slaving machines via timecode to slaving a computer to the multi track to ditching the multi track tape machine and working more inside the box we are now pretty much based on a laptop with a few controllers and lots of plugins… it works for us !! As a teenager I was introduced to post punk but once I discovered Industrial Records and all the off shoots I was off… some friends suggested I listen to OnU Sound in 1984 and I was hooked for life. I love industrial ambient dub.